NFL Awards 2018: Who Will Win and Who Should Win? Will Win: Todd Gurley. He's unlikely to win Most Valuable Player (MVP) but consider him a lock to win OPOY. The third-year man from Georgia finished with 1,305 rushing yards and 13 rushing touchdowns and 788 receiving yards and six receiving touchdowns. This was the most prolific season for a running back since Rams legend Marshall Faulk in 2001. Should Win: Todd Gurley. This is hard to dispute but for the sake of argument, let's give Antonio Brown a shoutout. He was robbed of the award in 2015 when he led the league in receptions and just barely finished second in receiving yards. Brown is the Steelers' MVP and deserves an award at some point. Will Win: Calais Campbell. 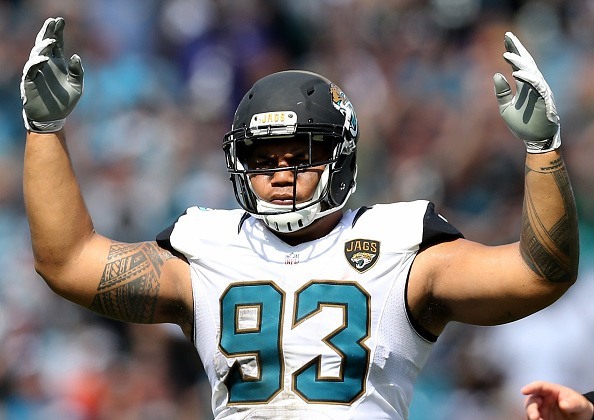 This is the hardest award to predict as there were so many standouts on defence this season but the 31-year-old transformed the Jaguars from a solid defence into the league's best. Campbell also recorded a career-high 14.5 sacks (a Jaguars record) and three forced fumbles. The tenth-year pro will get his due. Should Win: Aaron Donald. The league's premier defensive tackle was unstoppable this season tying a career-high 11 sacks despite missing the final game of the season, which will ultimately lose him the award. Donald still remains arguably the Rams' most important piece. Will Win: Alvin Kamara. He gets the edge over the Chiefs' Hunt despite having the lighter workload. But it's tough to not give Kamara the award as the former Vol has more rushing defence-adjusted yards above replacement (DYAR) and helped transform the Saints' offence. Should Win: Kareem Hunt. 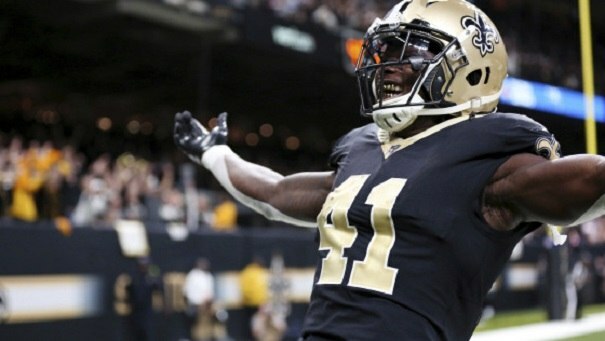 Kamara will get the nod but Hunt was more valuable to his team. The rookie was the Chiefs' focal point on offence and was the league's top rusher with 1,327 rushing yards. He would 455 receiving yards and a total of 11 touchdowns. Will Win: Marshon Lattimore. Much of the Saints' resurgence can be traced to their defence and the rookie from Ohio State has arguably been their best player. Recording five interceptions, Lattimore helped limit opposing quarterbacks to a 74.3 passer rating through 16 weeks. Despite missing three games, his impact clinches the award. Should Win: Tre'Davious White. The Bills were one of this season's feel-good stories and White helped the franchise make the postseason for the first time this millennium. While not as effective as Lattimore, White played all games and was so effective on defence he even got under Rob Gronkowski's skin. While he won't win, he deserves a mention. 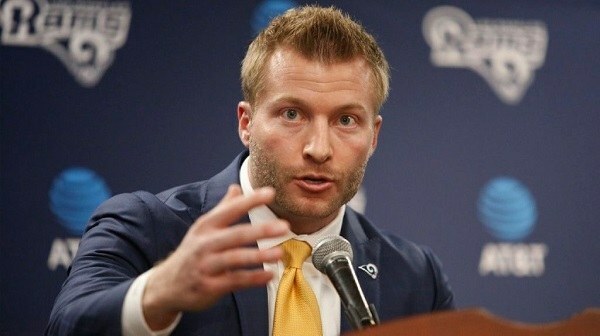 Will Win: Sean McVay. The only other candidate close to McVay is the Vikings' Mike Zimmer (who deserved to win in 2015) but the media will eat up the fact McVay is only 31 and turned around one of the NFL's most inept franchises for nearly two decades. Should Win: Mike Zimmer. When Zimmer turned the Vikings around in 2015, similar to how McVay did with the Rams this season, unfortunately, it happened the same time Ron Rivera's Panthers went 15-1. McVay already has this award locked up but Zimmer deserves credit for returning the Vikings to a powerhouse franchise. Will Win: Tom Brady. Thanks to an injury to Wentz, Brady is going to win his third MVP award. He led the league in passing yards with 4,577 and finished in the top-three in completions (second), touchdowns (third), and passer rating (third). Best of all, his Pats again dominated and tied for a league-best 13-3 record. Lock it up for Terrific Tom. Should Win: Carson Wentz. That ACL injury will go down as one of the biggest "what-if" scenarios. His Eagles now face elimination against the Falcons despite being the top-seed in the NFC Playoffs. Before his injury, Wentz was leading the league in touchdowns and was ranked in the top-three in most major quarterback categories. He instead gets this shoutout as consolation. The NFL Playoffs are in full effect and it's not a coincidence all the names on here come from playoff teams with half playing for teams still in the Super Bowl hunt. Canadians are deeply entrenched with the playoffs and choose these top online sportsbooks to play the best lines.